Fortunately or unfortunately, my working with the Tibetan media was coincidently started with the presidential oath taking of the Tibetan Prime Minister, Dr. Lobsang Sangay, and following his presidential oath- “return of the Dalai Lama back to Tibet and restore freedom in Tibet,” more than thirty Tibetans in Tibet set themselves on fire in calling for the return of the Dalai Lama from exile, and freedom in Tibet. Why a wave of self-immolations? Why a chain of Tibetans in line to burn themselves? Why this time, why not before? Is it because of Lobsang Sangay’s oath to restore freedom in Tibet and return of the Dalai Lama or is it the Tibetans’ faith in him that driving the Tibetans to burn themselves aflame in an attempt to restore freedom in Tibet, and return the Tibetan spiritual leader, the Dalai Lama from exile? Of course, Chinese brutality and repressive policies for the Tibetans in Tibet are not at all new ones; they are already there decades back, and to be more precise, China has already killed more than one million Tibetans since its invasion. 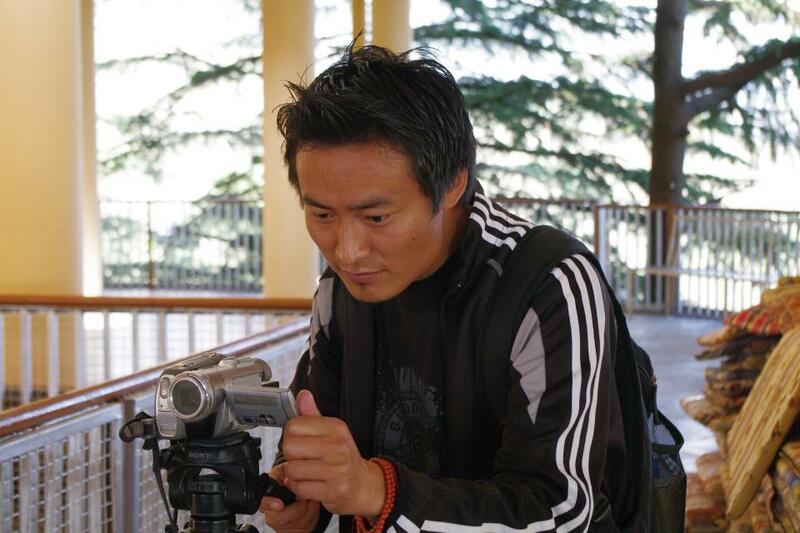 As a journalist, initially when I did report the news of self-immolations, I did with a feeling of proud that I was reporting breaking news, and I also felt proud that the Tibetan struggle for freedom is growing at zenith level. Yes, like everybody, initially I also got an un-expressible feeling as if the self-immolation-struggle will gain the autonomy status if not the independence. However, with the rolling of time, I started getting alarmed and now I am afraid that even the mass-self-immolations which I see in pending will take our struggle nowhere rather than weakening our own strength! We know the situation inside Tibet is very critical and more body-flames, severer the situation is becoming. We have been experiencing the Chinese policies for decades, and we know how merciless and how brutal the Chinese government-we know very well they will never change their policies for us, at least not now. Recently smuggled video footages out of Tibet have shown us that the Chinese police officials prefer to beat the Tibetan self-immolators to death than to doss off the fire. So, by now, we must remember that the Beijing government will never change its policies for us until we force them to do so. Let us stop worrying, let us stop crying-let us think deeply and plan broadly. Let us try other 98 strategies, not just one strategy again and again. Let us google, let us read books how the other countries got their status back, let us study how the Berlin Wall was brought down, and let us see how the Jews became so rich now and then. Like the Jews, maybe Tibetans also can focus on soft power building without visibly fighting with China , and of course keeping the sense of Tibetan-ness at the core of our hearts. Thinking broadly, it is not just the so called power of China, but it is also because of the corporate world handling with China in matters of economic business, and military business that making us impossible to get our country back no matter how many more lives are in line to sacrifice. It doesn’t matter how many world leaders meet the Dalai Lama, it doesn’t matter how many people of the world respect the Dalai Lama and appreciate the Tibetans’ commitment to non-violence. Countries of the world are so helpless and so powerless as they are also involved in business with China. It looks weird, but it is high time that Tibetan supporters have to revolt against their own countries urging them to change their policies towards China before joining Tibetans to revolt against the Chinese government. As long as their countries are selfish enough to sacrifice Tibet for their business benefit with China, the support that we get from people are in some way powerless, if not useless. United Nation Organizations has expressed its concern over Tibet; European Union has urged China to change its policies for people in Tibet, but nothing is changing other than the lives of Tibetans being sacrificed day by day on the fire, in theriver. It is so courageous, so precious, so rare and of course acts of martyrdom but because of the time, because of the situation, the self-immolations are not working at all as they demand, and the fiery wave of self-immolations are just creating an environment of emotion, fear and unfortunately looks like dividing the Tibetan society. Tibetan government in exile and its leaders have made clear that they neither can discourage nor can encourage the self-immolators, and the influential Tibetan leaders including prof. Samdhong Rinpoche and His Holiness the Dalai Lama helplessly prefer to take the stand of keeping quiet is the best option while extreme die hard Tibetan activists see that the self-immolation is the need of time- the power of struggle. More or less, the fire flames from the Himalayas in the form of human torches have made headlines in the papers, and in the air, and by now, Tibet awareness in the world is at zenith level. Yet, no international community is helping us to fulfill the wills of our late martyrs nor fulfilling the demands and wishes of our people ready to die for Tibet. We can crystal clearly understand the severe situations inside Tibet but that is not enough and we have to understand the whole situation of the world-economically, politically and militarily. By knowing that the self-immolations won’t bring world help to restore our freedom in Tibet rather than a bunch of lip service, it is morally wrong from our exile side not to appeal our brothers and sisters in Tibet to stop from further sacrificing their lives. We might not have the authority to discourage them but it is our moral responsibility to appeal them not to immolate as of now, and urge them to preserve for the right time because such courage, such sacrifice, such patriotism is very rare, not many people can make that—only one out of ten at the most. Cease burning, cease protest. Let China do whatever they want to do??? Frustrations among Tibetans in Tibet are very visible by looking at the current spate of self-Immolation tallying to 35th people and many more are seemed in queues. Tibetans in Tibet raise definite hope that self-immolations will highlight plight of current scenarios “virtual prison” by Chinese government. But they raise hope to none other than brethrens under the leadership H.H. Dalai Lama and following peoples’ representatives in abroad. So what is the capability of Tibetan government in exile to achieve or to make martyrs’ or victims’ dream more realistic? Looking at foreign policies of every nation in the world towards china has stopped their approach to raise Tibetan issues. Chinese economic booms has flipped at some international possible points like human right violation and majorly concerned by most silently kept point is water politics of china. I would not point my finger neither to exile leader Dr. Lobsang Sangay nor to H.H the Dalai Lama that they didn’t try to reach out with international supporters but they are found to be helpless and confused. Central Tibetans Administration in exile is still following failed policy and this is must responsible for current continuous self immolations in all around the world. This is not only a time to set dialogue with Chinese counterpart but also to set a time line to resolve the issue of Tibet under same policy, otherwise Tibetan government in exile should abridge Tibetans inside Tibet to redirect them into saver mode of protest so as to kick out Chinese government as ultimatum. We are so learnt on non violent direct actions. Gene Sharp must be the central principle guru to learn how to bring down dictatorships in china. We must start it in Tibet. If I would be signaled to return to Tibet and start movement, I have no doubt that I would be do anything certainly and will make difference but this cannot be done by CTA because they have already given up to hold mass protest against Chinese government since 2008. I am sure there are lot more Tibetans who are ready to do anything for Tibet. There are chances that Tibetans in Tibet may end this present movement if we do not result their greatest form of sacrifice, politically “offering body for people of Tibet” , emotionally “losing life for Tibet” and according to Chinese propaganda “terror act back up by Dalai cliques”. Making a great significance to Lhakar movement is a good way to root major movement in Tibet. Places like Amdo Golok and Yushu in Tibet have already started different tactics economically and culturally, and left many Chinese survivors out of the area. whatever tendar la said i agree to it fully.the most important strategy that we all tibetans and supporters must follow is the boycott of chinese goods.if we all follow this then it will somehow affect the chinese economy and we can all request and plead other countries to boycott chinese products.as china is becoming powerful due to its high economy so if we all follow this strategy this will definitely affect china.and we all must remember that the china's rising economy is the tear and blood of the six million tibetan people.SAVE TIBET. Wondering what will happen if the next Dalai Lama be the next Osama Bin Laden?? Osama and Dalai Lama- to whom, China is more afraid of? To whom- the world is more afraid of ? I don't know yours intention about the relating of the next Dalai lama and next osama bin laden.But,i can prove that china is more afraid of Dalai lama ,as their government full of lies and guns is becoming clear night by night. this is the naked truth you have written here. All supporting countries including India make statements, but no action. Its an open secret that each of us do urge our own families in Tibet not to involve in free Tibet activities as we know the consequences, then why we are not urging the selfimmolaters to stop? see how selfish, n coward we are! It´s their decision and we must respect that ! This is the ultimate act of defiance in the ugly chinese face ! So we must all respect their sacrifices and do what we can to spread the truth about communist chinese and their coward partners in the West ! All the 31 matyrs have given their ultimate sacrifice in order to stand up against the brutal rule of CCP and it's oppressive policies in Tibet. But it is a great loss for Tibetans to have lost such patriotic people and the Chinese regime will not even bat an eye, since they don't have to do the killings themselves. So let us all request every Tibetan to not self-immolate themselves but to live and dedicate their lives fully to fight against the CCP regime through peaceful grass root movements both inside and outside Tibet. We need to live to fight another day even if takes another 50 years. I am sure in the next decade there will be democracy in China because of the oppressions that Chineses people themselves face. Thnks Tendar La for your amazing article and I feel the exact same. We can't let one more body burn and we need to live alive to fight back in different ways. I can feel your enthusiasm. Next time may be come up with some sort of specific solutions or suggestions for our problems may be we call all work together.